A stunt driver had a miraculous escape when his longest car jump world record attempt went spectacularly wrong. 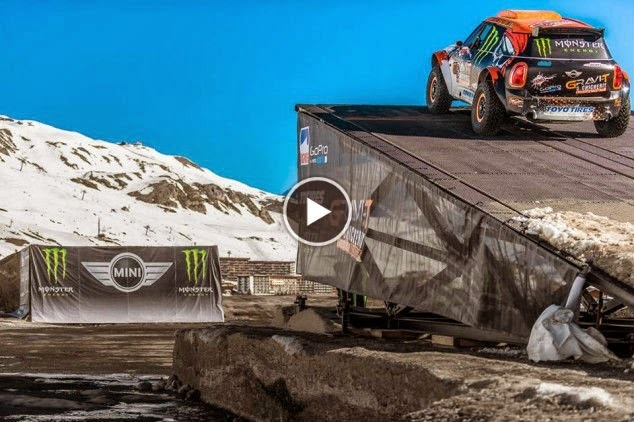 French daredevil Guerlain Chicherit’s stunt ended disastrously when his adapted Mini nosedived sharply on landing, resulting in the car flipping over and cartwheeling at speed down a ramp. Chicherit walked away from the crash in Tignes, France, on Tuesday, with just minor injuries and later posted a message on his Facebook page quoting former British prime minister Winston Churchill. ‘Cheers everybody!!! Thanks a lot for all your support!!! I have to stay to the hospital for the night just for safety, I’m all OK!! !’ he wrote.